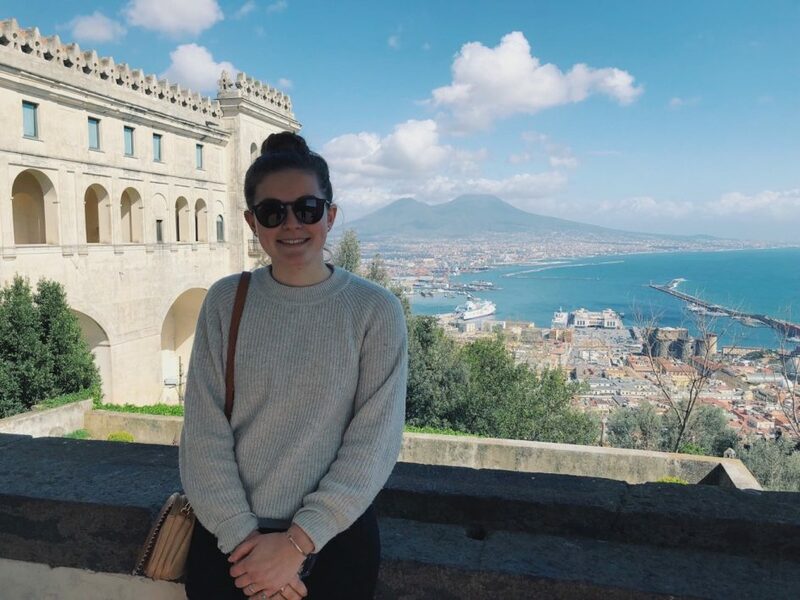 The academic year is winding down and so is student blogger Liv del Brocco’s full year studying off-campus in Paris. We asked Liv to reflect on her time studying off-campus and how she feels about coming home. At Skidmore, Liv is a French major and on the rowing team. While she lived in Paris for a year, she cheered on her team from across the Atlantic and kept up with her studies. Checkout her blog “Une Baguette S.V.P” here. 1. Is your program related to your focus of study? If so, in what ways? How is it shaping the way you interact with your studies? If it is unrelated, what inspired you to go on this program? My program, Skidmore in Paris, fits perfectly with my French major. Because of its immersive nature, my classes are taught in French, which allowed me to try a variety of courses while still being able to count on the fact that they would contribute to my major. It also encouraged me to put what I learned into practice. I could use my improved speaking skills to discuss the cultural differences I learned about in class with actual Parisians! The variety of classes IES offers also made it possible for me to add an International Affairs minor, something that was very pleasant surprise. 2. Have you encountered language barriers? If so, how have you maneuvered through those situations? Have you attempted to learn the native language? My main goal in coming to Paris was to improve my speaking skills. However, in a large city it can be difficult to fend for yourself in a foreign language. The most common experience we have as foreign students is that once a waiter realizes we are American, they try to only speak English to us. I have had up to 3 or 4 exchanges with a server before they speak French to me. They do it out of good intentions: their way of being hospitable or their own desire to practice a foreign language. But this can be frustrating. I try to keep in mind that if I am speaking French, I am meeting my goal. This way, I don’t give in and speak English and I don’t become discouraged by their refusal to speak French to me. 3. What is the living situation on your program? (Homestay, apartment, dorm-style, etc.) How has that impacted your semester and your interactions with the host culture? Every Skidmore student stays with a homestay in the Paris program. In my opinion, this is the best way to go, especially if learning about the language or culture is on your to-do list. Living with a host family has allowed me to speak French on a regular basis. It has also given me the opportunity to form a relationship with someone outside of my classes. I have gone to plays with my host mom, had regular afternoon tea with my host dad, and been invited to some of their lunches or dinners with friends. They will often recommend museums or local markets to me. And they cook me delicious traditional French meals! It isn’t always easy to live in someone else’s home and have to express yourself in a foreign language. But it is an effective way to learn how to adapt your comfort zone and discover new things about the culture. 4. How are you feeling about coming back? Anything you’re specifically looking forward to/will miss most about Paris? Having been in Paris since September, the thought of coming home is both enticing and bizarre. While I cannot wait to come home to aspects of my own culture (coffee on the go! ), I have also completely adapted to French culture and it will be strange not having it around anymore. I am nervous to lose my speaking skills that I have gained while in Paris. I will certainly miss the endless supply of bread and all the beautiful museums or neighborhoods that are accessible here. But I am content with my choice to have spent a year abroad. For me, it was the perfect amount of time. My second semester made Paris feel more like home, and I can return to the United States knowing that I saw a lot more than I originally planned. 5. How is studying abroad supplementing your education here at Skidmore? In what ways do you think your experiences abroad will enhance and fuel what you learn on campus? The most important thing I learned while abroad is how to create discussions around differences. Paris is a large, modern city and, as a result, I expected them to share relatively similar views to my own. But that was not the case. Through my classes and my home stay I learned about cultural differences, things I often disagreed with or did not understand. It is important to be able to see one question from multiple points of view and to avoid immediately condemning someone else’s way of thinking. As Skidmore is a relatively small campus, it can be hard to get this diversity of opinion. But my abroad experience will keep this thought in the back of my mind and remind me to always consider someone else’s point of view.